As usual, I’ve been neglecting my blog; however, you may notice that I finally did a little redesign using a modern template to make it more mobile-friendly and more accessible to avoid the Google search penalties. With this fresh new design, I decided that I needed something more recent than my last post in January. So, I thought it would be nice to talk about my presentations from OSCON and the FLOSS Community Metrics Meeting in lovely Portland, OR in July. If you want to skip my ramblings and get right to the content, you can find all of the code, data sets, instructions and links to the presentation materials on SlideShare by visiting my OSCON 2015 GitHub repository. UPDATE (Aug 23): The video for the OSCON portion is available now, too. If you missed this presentation and want to see it live and in person, I’ll be doing similar talks at LinuxCon Seattle in August and LinuxCon Dublin in October. 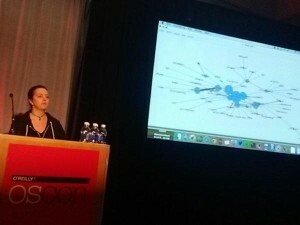 You might also be interested in reading the interview that Nicole Engard did with me on Opensource.com right before the conference to give me a chance to talk about my OSCON presentation and metrics in general. The presentations both centered around network analysis, which studies relationships between units and looks for patterns and structure in those relationships. This is an oversimplified definition of network analysis, since it’s a fairly complicated discipline, so the best way to describe it is with a few examples of how people use network analysis. My presentations looked at relationships and activity between people participating in an open source project. It’s also used to study the relationships between organizations. Examples include looking at which companies have common people on their board of directors or to look at parent / subsidiary relationships between companies. 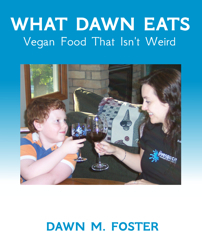 People are also using it to study animal social networks, like aggression and dominance between horses or food sharing between birds. Someone at the University of Greenwich is doing historical social network analysis to look at the networks of people in medieval Scotland by using data from witness signatures on legal documents. The MetricsGrimoire is the go-to set of tools that you’ll probably want to use to gather data from your open source community and store it into a database where you can write queries to extract the information you need. 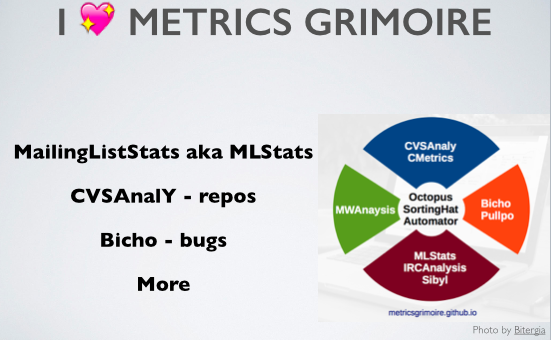 In these talks, I used mlstats data, but in my research, I also make heavy use of CVSAnalY. The OSCON 2015 GitHub repository README file has more instructions, but in short, you need to install mlstats, create the database, run mlstats on your mailing list to import the data into this new mlstats database, and finally use database queries to extract the data used for this presentation. You can also use my oscon.py script from the GitHub repository to extract the data. I took the output from the oscon.py script and used a combination of RStudio and Visone to visualize the data and create the network using data from one of the Linux kernel mailing lists (IOMMU) from January 2015 to keep the data set to a manageable size. In the end, we created a network diagram showing mailing list replies between people. The people with the most replies (degree centrality) are shown with larger circles (nodes), and the number of replies between any two people is shown by bolder or lighter arrows. Again, the OSCON 2015 GitHub repository README file has all of the details and instructions for how to do this, so I won’t duplicate it here. Gource is a tool that most people use to easily visualize source code commits by each person for any repository; however, it can also be used with custom data. If you’ve never used Gource, you might want to take a brief detour and look at some of the many Gource visualizations on YouTube. 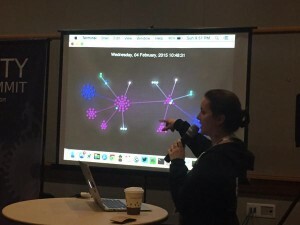 I only had time in my OSCON talk to briefly cover Gource, but luckily, I was able spend 20 minutes on the topic during the FLOSS Community Metrics Meeting the weekend before OSCON. In the presentation, I showed how to create a custom log format file using mailing list data from mlstats and feed it into Gource for visualization. See the the OSCON 2015 GitHub repository README file for details about exactly how I did this. 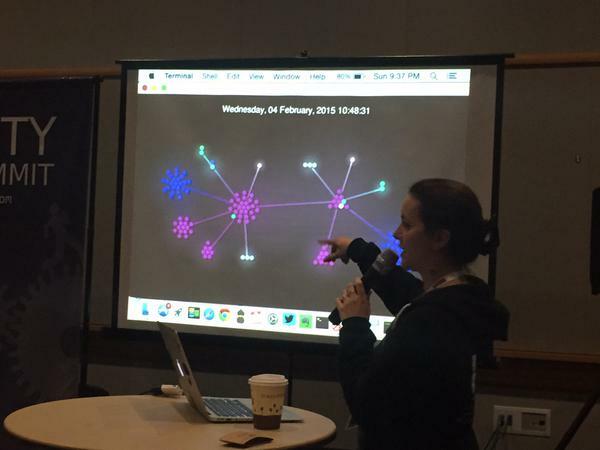 There are so many different tools available to do visualization of social network analysis. I used Visone because it runs on most major operating systems, and it’s fairly easy to get started with, but there are so many other options that you might want to play around with. Python has quite a few packages that provide social network analysis, like NetworkX, for example. I haven’t had a chance to play with this much yet, but I know others who do quite a bit of their analysis using these tools, so they are on my list to try. The final thing that I want to stress is that network analysis is so much more than just having cool graphs that allow you to look at your data. The visualizations are often the first step to see what might be happening in your network, but for those of us doing this type of work, it’s just the first step. The next steps usually involve many different calculations and measures to really understand what might be going on in the community. One example is how we changed the node size based on degree centrality for how many links that person had. It’s easy to explain, but it’s not a particularly sophisticated measurement of network centrality, and there are others that do a better job of looking at how well-connected people are to give you a better measure for influence. For example, if I regularly talk to 2 people within the Linux kernel, and if those people are Linus Torvalds and Greg K-H, I’m likely to be better connected within the network as a whole than if I’m talking to 10 other people with little or no influence. If you are interested in my academic research, I also did a presentation recently at an academic conference here in the UK. That presentation and others can be found on my Academic page. OSCON photo by Luis Cañas-Díaz and the FLOSS Metrics Gource photo by Stephen Walli.